site whether a plot of land or an existing space to be renovated. I believe that when working with the client, we make choices that foster the client's own sensibilities to reflect their lifestyle. Together we embark on a design journey towards a fulfilling result, both beautiful and practical. I earned a Master of Architecture Degree from the University of Pennsylvania where I was a recipient of The E. Lewis Dales Travelling Fellowship. I also hold a Bachelor’s Degree in the Design of the Environment and the History of Art from Penn. During the course of my study I was influenced by a tradition of architecture that nurtures beauty from function. 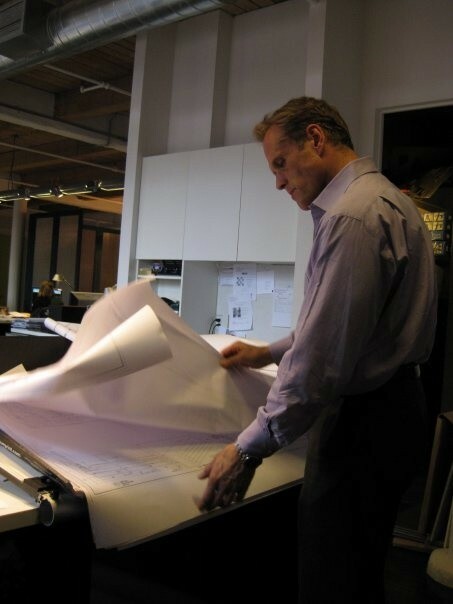 As the lead architectural designer at Drake Design Associates, NYC, from 2002 to 2015, the variety of my work included residential projects and civic commissions. The creative evolution and vast practical experience I gained has been invaluable, particularly the influence of color and materials on built form. From the understated formality of refurbishing City Hall, to the theatricality and glamour of residential projects I am expert in visual tempo and effect. Using my own grounding in Swedish simplicity, I edit even a luxury based project and distill it to its own clarity. I have effectively managed projects with strict construction schedules and have successfully worked with many of Manhattan’s most stringent co-op boards. My relationship with many of New York City’s best contractors has led to seamless construction efforts. I am a LEED qualified professional and an active member of the New York Chapter of The American Institute of Architecture, sitting on its Interiors Committee.